Another month, another fish. This one was pretty good. 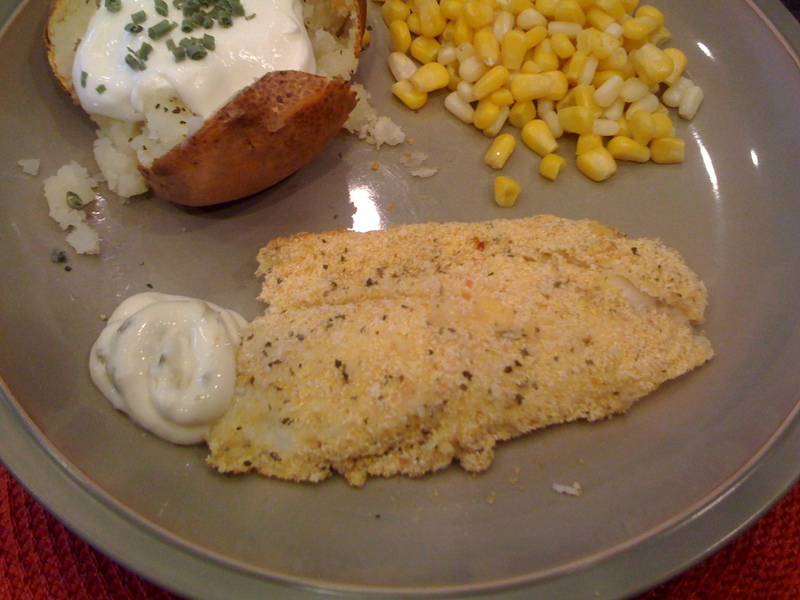 I served it with tartar sauce and I love that, so definitely an edible seafood, plus all the people in the house that actually like seafood, really liked this recipe. Their opinions are probably more accurate for seafood recipes. So enjoy if you like seafood, and if you are like me and don’t, this one is not that bad! 1. Get out three bowls. In first bowl mix together flour, salt and pepper. Second bowl, beat the egg whites until frothy. Third bowl mix together the bread crumbs, cornmeal and basil. 2. Dip the fish in each bowl in order. Place in a lightly greased 13×9 inch pan. 3. 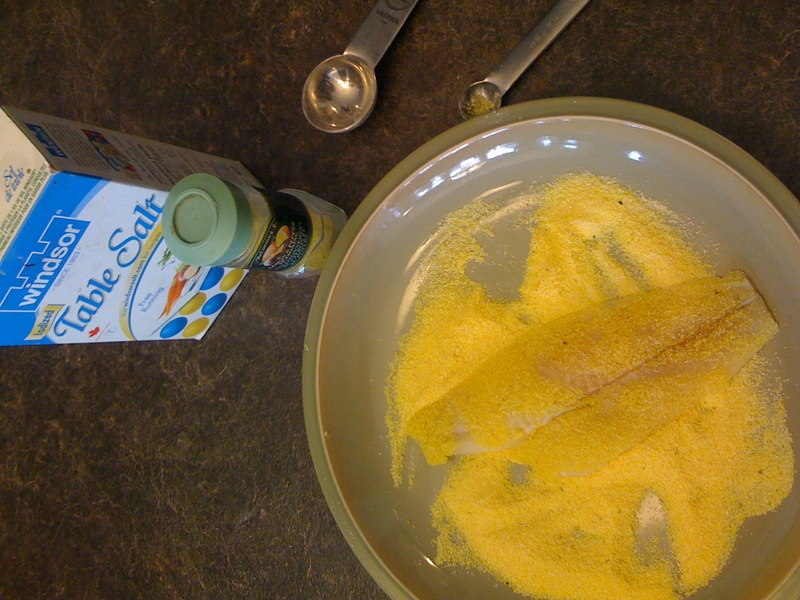 Bake at 450 degrees until fish flakes easily with fork (about 10-15 minutes). Okay the thing about seafood is that I don’t really like it. I can eat it. I don’t even gag, but I wouldn’t say I like it. Now, I am a mother who likes to expose my children to all types of foods. They are not those kids that survive on hot dogs, bananas and KD alone. If we are eating it they are eating it. 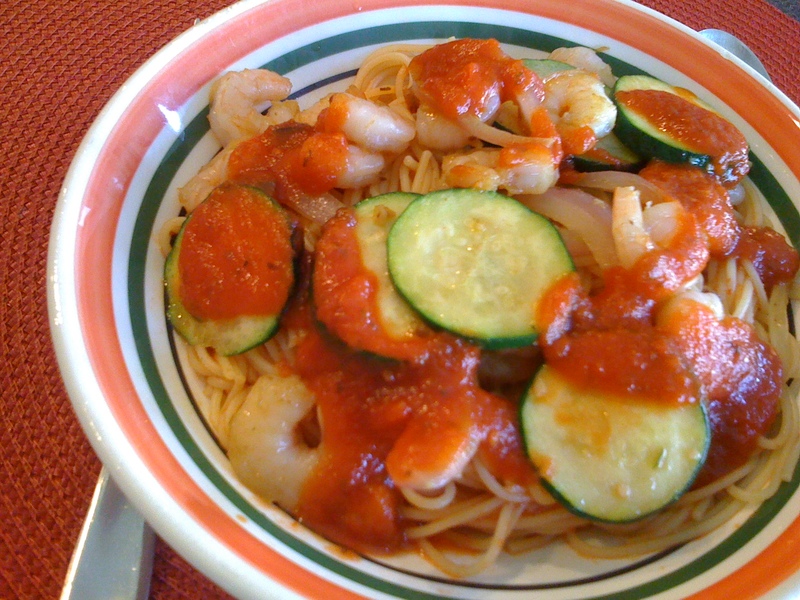 So once a month I force myself to cook seafood to enrich my children’s lives. Now this recipe I LIKED! Not kidding, I actually enjoyed eating. It was not that last thing left on my plate while I tried to sneak it into the garbage before my kids could see. And my kids liked it too. They even had seconds, not of the rice, not of the carrots, but of the fish. Amazing. So here it is. I got the recipe from Allrecipes.com too. I surf on that site a lot! 1. Mix first ingredients together on large plate. 3. 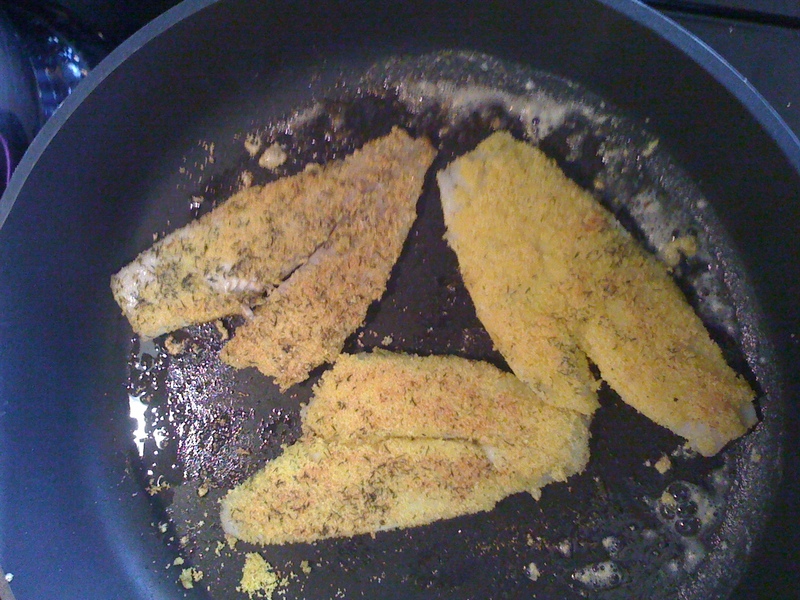 Coat both sides of sole with cornmeal mixture and fry for about 2 minutes on each side over medium heat. (Until fidh flakes easily with fork. 4. Remove from pan and keep warm. 5. Melt remaining butter and toast almonds in butter for about four minutes , or until a nice light brown and fragrant.